The dangers of CO are undeniable. The dangers of carbon monoxide (CO) gas have been far too apparent over the years, as countless deaths occur annually as a result of CO inhalation. Without the proper detection equipment, there’s virtually no way you’d be aware that this colorless, odorless, tasteless gas was affecting you and your family. Scientifically speaking, carbon monoxide is caused by the incomplete combustion of carbon containing compounds in circumstances where oxygen supply is limited. In other words, low oxygen in the combustion (burning) environment prevents the gaseous byproduct from being turned into carbon dioxide (CO2), and if you’re breathing air right now, you know CO2 is not as dangerous as CO. The most common “offenders” in the creation of this dangerous gas are all around us: exhaust from cars and other motor vehicles with internal combustion engines, stoves, portable camping stoves and other propane-fueled equipment, even house fires. 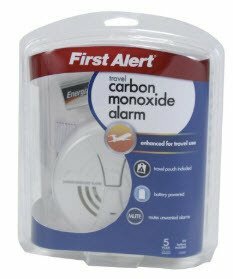 At Clarke’s Hardware we have a number of models to choose from such as the inexpensive yet effective First Alert plug-in model with battery backup. For additional protection, the First Alert combination CO and explosive gas detector also alerts natural gas and propane traces in the air. Danger never rests, so it’s important your safety measures don’t, either. Take the necessary precautions to keep your family safe 24-7 for enhanced piece of mind. And if you have additional questions about home improvement and outdoor living, ask the helpful folks at Clarke’s Hardware.